THIS is the moment when the the relative calm of South Grafton's central business district on Saturday afternoon was shattered when a car left the road and crashed into a medical centre. 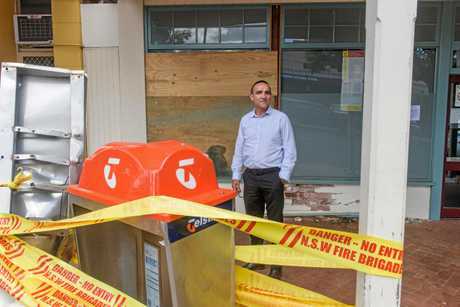 Witnesses say, at about 4.30pm, the car drove from the direction of a service station across the road, went across a raised median and smashed a public phone out of the ground, before crashing into the front of the Bulgarr Ngaru Aboriginal Medical Service. The incident, captured by CCTV cameras, shows the single occupant of the vehicle push the door of the car open and get out, to the amazement of onlookers. Witnesses stated the driver allegedly told them that he'd lost control of the car's steering before the crash. People who were shopping at one of the few businesses in the street still open, Farmer Lou's, reported hearing a large bang "like the roof was collapsing", and ran outside to see a plume of dust near the building. 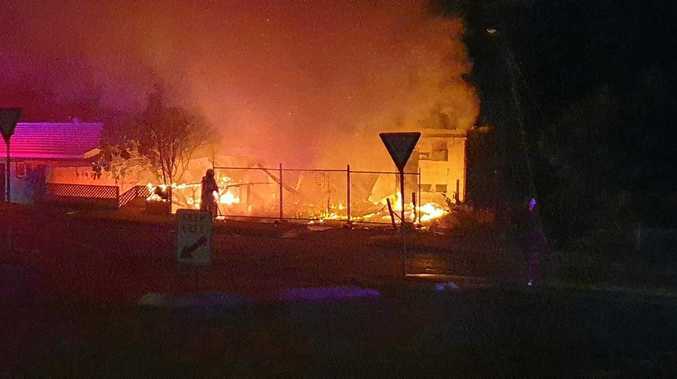 Bulgarr Ngaru Aboriginal Medical Service CEO Scott Monaghan was called to the scene on Saturday, and said a steel support beam on the exterior of the building might have saved the structure. "It doesn't look like it's bent at all, just the brickwork around the outside has been pushed in," Mr Monaghan said. "However we're still waiting on the insurance company to tell us if the structure is okay, and until then we can't take any patients. "We've sent about 50 over to the Bacon St clinic." Mr Monaghan said medical centre staff were contacting people with appointments to redirect them to the other centre, and he hoped the service could reopen as soon as possible. Police were unable to comment at the time of publishing.